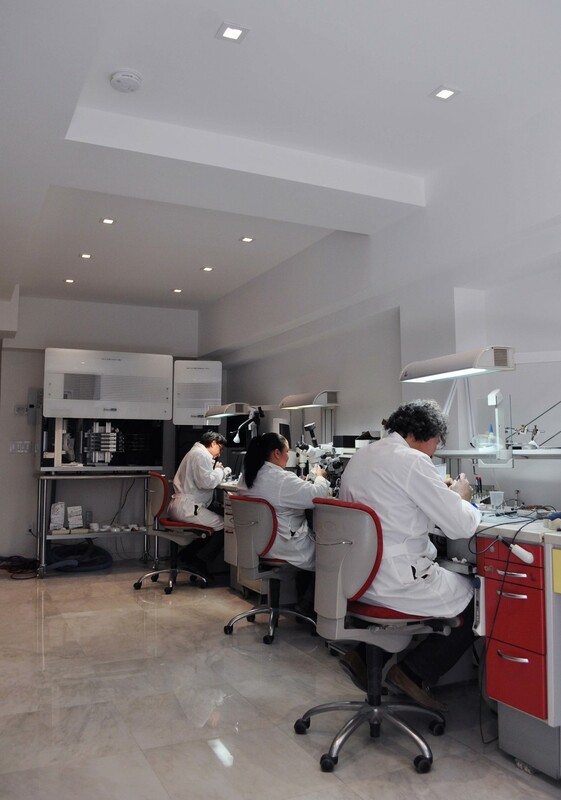 Franco Petruzziello, MDT has owned and operated a full service dental laboratory in New York City, specializing in removable, fixed detachable and implant restorations for over 25 years. Servicing members of the Northeastern Gnathological Society, where he has been a member and sponsor for many years, helped paved his way to becoming an industry leader. Franco is also on the faculty at New York University in the Full Mouth Rehabilitation program. Currently we are the only laboratory in Manhattan with the unique and dignified Zirkonzahn M5 5-axis milling unit. Zirkonzahn is the worldwide leader in zirconia technology and the only manufacturer of Prettau® Zirconia. It is the premier material available worldwide for precise and aesthetical restorations. We are delighted to be a part of the Zirkonzahn team bringing to your practice a specialized and revolutionary prosthesis. Our extensive experience with fixed and detachable implant restorations was the perfect preface to CAD-CAM technology. We maximized our potential to generate impeccable products such as screw retained full arch or cementable zirconia restorations for both implant and natural abutted teeth. We have been dedicated to providing the best possible monolithic zirconia prosthesis’ for our clients. Our results are seamless leaving our patients and doctors with nothing but a contented smile. We believe our work is “work of art” and that will make the difference in your dental practice. We listen to your needs and work closely with you to focus on the optimal solution for your patients. Our goal is to provide unsurpassed consistent quality and dependable service you deserve. Your valuable chair time is important to us and we are committed to making sure your experience with us is a pleasurable one for years to come. For more information about Franco Petruzziello Dental Studio, fill out the contact information here to send us an email, or call our office today!